After what has been a long few weeks since Sony announced when the PS4 will be available, Microsoft has finally revealed the Xbox One release date. Better late than never, then, that Microsoft has finally announced that the Xbox One release date will be 22 November. Up until now, Microsoft has been fairly vague when it comes to when we were likely to see the Xbox One is stores, deciding to hold back on the exact calendar entry to circle - preferring to just say 'November'. Given that Sony happily announced that the Sony PS4 will be out in the US November 15 and Europe November 29 at this year's Gamescom, for those who have pre-ordered an Xbox One knowing when you will get the console will have been an excruciating wait. Now we know that Microsoft has chosen a date that means it is a week late in the US (compared to Sony) but a week early for Europe - so a pretty nice balance there. The Xbox One will launch on 22 November is 13 countries in total: Australia, Austria, Brazil, Canada, France, Germany, Ireland, Italy, Mexico, New Zealand, Spain, UK, and USA. According to Microsoft, many more markets will follow in 2014. Microsoft has been on a rocky ride with the Xbox One. Its announcement was rather muted and its DRM shenanigans were, well, mocked by Sony as was the Xbox One's price. Microsoft has frankly given Sony a lot to mock but it has been on something of a comeback of late. 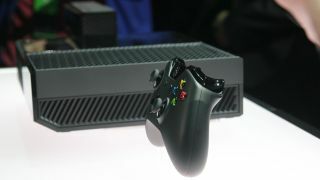 Its recent announcement that up to eight controllers can connect to the Xbox One means that this will truly be a multi-player console, while Kinect's technology is still a step ahead of anything Sony can do with its own camera tech. Messaging problems aside, now that Microsoft has revealed the release date card it has been holding for far too long, this Christmas should be more than a little bit interesting. Want to know more about the Xbox One? Then check out our lovely unboxing of the console.